Photo of hundreds of Canadian geese taking off from field. 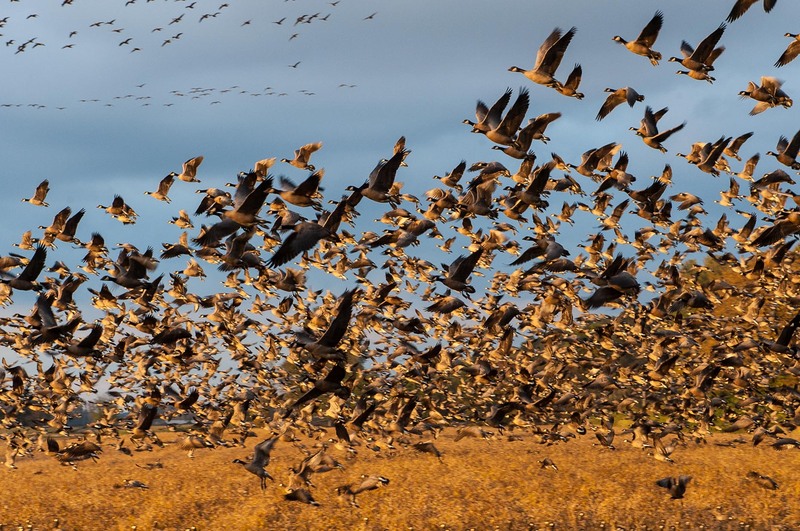 Image of hundreds of migrating Canadian Geese as they feed on rye fields in late fall. Sauvie Island, Portland, Oregon, USA.